This organization involves the present generation of Edmontonians in their city’s heritage. Most Edmontonians are familiar with the Old Timers Cabin at the foot of Scona Road, which, to many, is a mild curiosity on the morning commute. 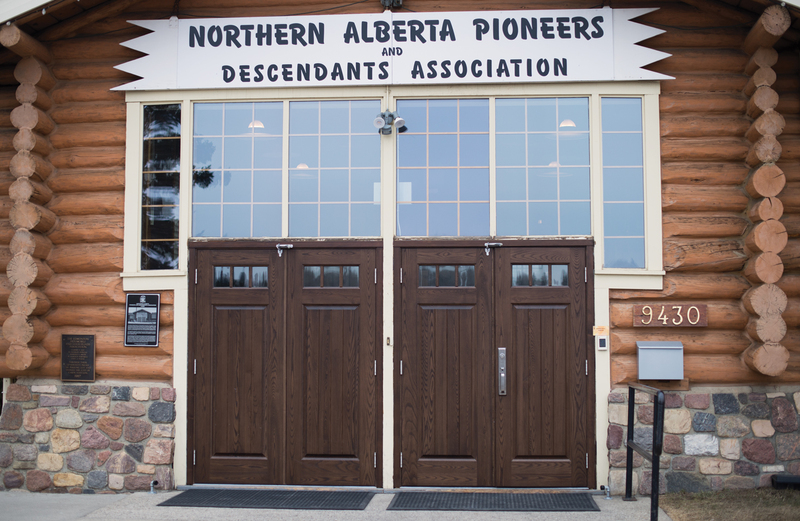 A sign at the entrance to the parking lot reads “Northern Alberta Pioneers and Descendants Association,” which, if it’s all in a name, may be explanation enough. But what actually goes on behind those cabin doors? Dorinda Emery, executive director of the NAPDA since 2012, emphasizes that the non-profit, one of Edmonton’s oldest chartered clubs, is primarily a social organization dedicated to celebrating the stories of those who arrived in northern Alberta before it became a province in 1905, and those who have come since. Part of that effort to keep the past alive once involved an extensive archive, mostly of Hudson’s Bay Company records, that has now been mostly transferred to the Provincial Archives for safekeeping and in order to provide greater public access. Emery enthusiastically describes how NAPDA members honour the pioneer spirit. This latter event showcases a change in direction that has become of greater importance to the association in recent years. Emery says that a new board has just been elected and that the NAPDA wanted to get more people with business experience involved. The organization wants to become a more recognized part of the community. “At the same time, because we are a non-profit, we intend to keep offering free and discount rentals to worthy community groups,” she says. Current membership stands at approximately 300, divided into associate members (anyone with an interest in the pioneer history of northern Alberta) and founding members (those whose ancestors arrived in the region prior to the 1905 Confederation year). Roy Bird unquestionably qualifies as a founding member, given that his great-great grandfather, James Curtis Bird, came from England to Canada to work for the Hudson’s Bay Company in 1788, eventually becoming chief factor of Fort Edmonton in 1799. Bird, who became active in the NAPDA a few years ago upon retirement, remembers driving past the Old Timers Cabin and wondering if his interest in local history should make him check out the organization. After all, his own roots couldn’t have been much closer to where the cabin sits. Suddenly the dots of history begin to connect. My own ancestors came to Alberta from Ontario in 1905, carrying their prized honeybees across Canada on the train in specially-designed luggage, a fact I know only because it was written down in a privately-printed chapbook by my Great Aunt Gladys Muttart (nee Bowling) in 1961. My family initially settled in Mill Creek, where I currently live. Knowing even a small amount of local history can make us feel more connected to our surroundings, even if we’re newcomers to an area. This is a major reason why the NAPDA is seeking to increase its profile. For instance, the Old Timers Cabin, which has been in its current location since 1959 and which hosted a remarkable 275 events in 2016, has undergone $200,000 worth of upgrades in the past few years. The association also recently received a Canada 150 grant for renovations to the exterior. There are many upcoming events at the cabin, including one next October to celebrate pioneer arts and crafts such as weaving, leather-work, and blacksmithing. With a revamped website and the new board’s commitment to greater community involvement, the hope is strong that the NADPA can attract more members and become as dynamic as it had been in earlier generations. And history isn’t always a grandiose matter of politics and economics either. Sometimes you can simply honour the past by playing a game of cards. 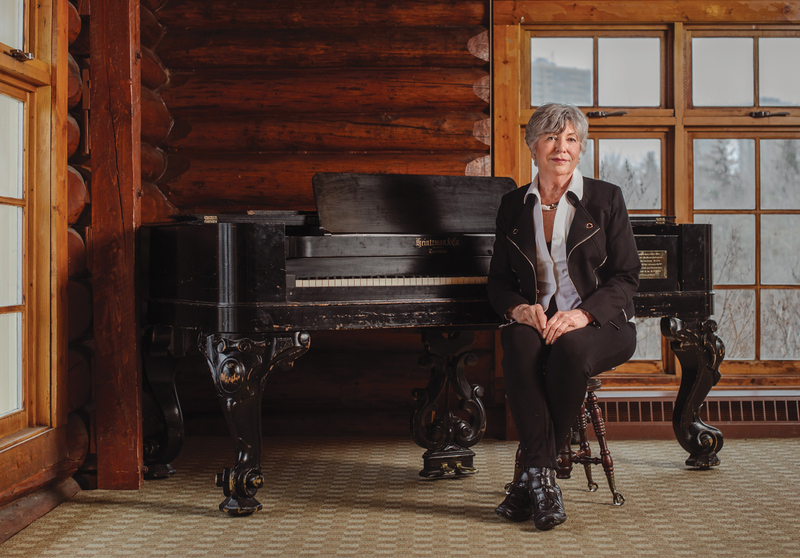 Every Tuesday, at the Old Timers Cabin, for example, patrons enjoy a cold lunch and a rollicking game of whist – an activity that is certain to fulfill at least one goal of the organization – instilling a whist-ful acknowledgement of Northern Alberta’s pioneer past.